Most of us in the office have a really hard time keeping the cubicle plants alive. You know that green thumb thing that some people are supposed to be born with? Yeah… there isn’t one, here. We’ve made several efforts and a number of us have tried taking some classes… or at least watching a lot of YouTube for helpful tips. But, to no avail. Yes, you’re thinking, ‘Sun and water is all you need,’ but that simply isn’t true. There’s a sort of magic that comes to making these plants avoid drying up to dust on us, much less thriving. In fact, just last week we saw an imitation plant starting to wilt. How is that even possible!? Anyway, you can imagine our surprise when we heard some odd noises in the back room and found that one of the hydrangeas that we’d given up on had not only started to sprout a number of blossoms… but also a few vines. As far as we could tell, they weren’t supposed to have vines, but we obviously hadn’t been doing anything right. So, we let it go. Figured we’d just see how well it did on its own. Sooo… now it’s a swamp monster. We took a vote and decided that you were the best household to raise the new … adorable bud. 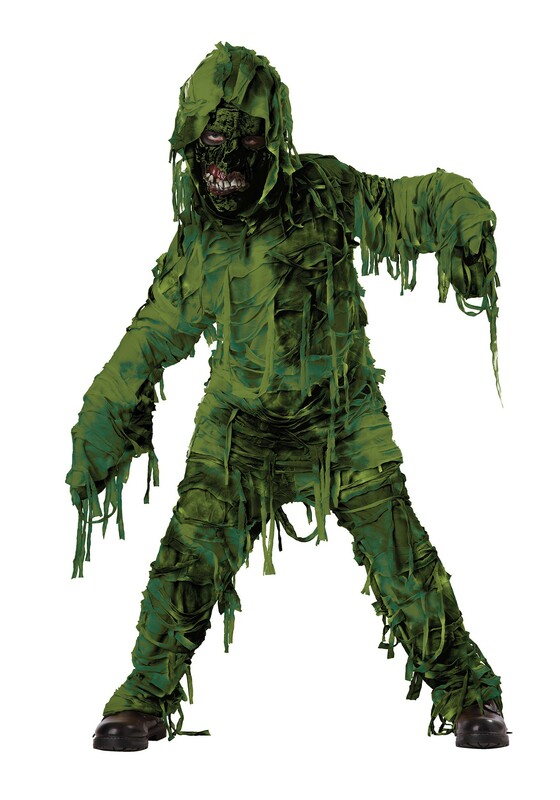 We know you’ll find an excellent spot for this Boy’s Swamp Monster costume and will do a splendid job nurturing its unique nature. This polyester green and black colored shirt and pant combo have vine-like fringe and a comfortable elastic waistline to keep your little monster from growing too far out of control. The acrylic face mask transforms your kiddo with its monstrous features into the kind of nightmare that only skilled gardeners could love. Fortunately, we’re banking on that being you!